Way back in 2011, Universal Pictures dropped their long-gestating remake of the 1985 board game adaptation Clue, but we never heard any updates on the project since then. At the time, Gore Verbinski was attached to direct, but the project never found a new home. Until now. 20th Century Fox is joining forces with Hasbro Studios to bring this project back to life! The Tracking Board reports that Josh Feldman is set to produce through Hasbro Studios, with Ryan Jones overseeing the project for Hasbro and Daria Cercek overseeing the project for 20th Century Fox. When Universal was developing the project, the studio was working from a script by Burk Sharpless and Matt Sazama (Gods of Egypt). It isn't know if the writers or director Gore Verbinski are still involved at this point. This report reveals that 20th Century Fox is seeking to expand the scope of this movie remake, which seems to be similar to Universal's approach from five years ago. We reported that, before Universal dropped the project, the studio wanted to "expand the mystery on a global scale," with 20th Century Fox reportedly wanting to make this adaptation a "worldwide mystery" with action-adventure elements that will hopefully spawn a new franchise. When Universal dropped Clue five years ago, it also dropped Hasbro projects such as Monopoly and Magic: The Gathering that it was developing under a then-exclusive deal with the studio. The 1985 adaptation of Clue starred Tim Curry as the butler Wadsworth, who welcomed the iconic characters from the board game to a dinner party in a creepy New England mansion in the 1950s. Eileen Brennan (Mrs. Peacock), Madeline Kahn (Mrs. White), Christopher Lloyd (Professor Plum), Michael McKean (Mr. Green) and Lesley Ann Warren (Miss Scarlet) starred as the dinner party guests, who must work together to solve the mysterious murder of Mr. Boddy (Lee Vang), the man who had been blackmailing them all. The movie only made $14.6 million at the box office, but went on to become a cult classic on home video in the years following its release. 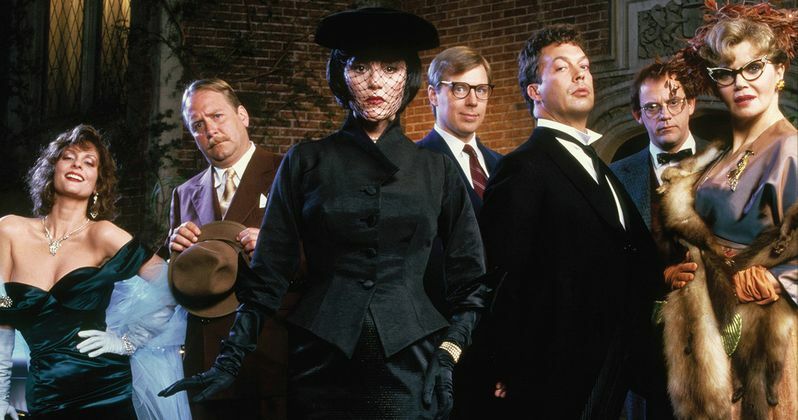 Director Jonathan Lynn had shot three separate endings for Clue, which, in innovative fashion, were randomly shipped to theaters, and in some cities, the newspaper ads indicated which ending was playing in their local theaters. The DVD release does include all three endings, although there is also an option for viewers to play the movie with a randomly selected ending. It remains to be seen if this remake will shoot multiple endings, and how those endings will be shown. We'll be sure to keep you posted with more updates on 20th Century Fox's Clue remake.